Cliff Godwin is in his first season as an assistant coach under Mike Bianco at Ole Miss, but he is no stranger to the SEC. Godwin started as director of baseball operations at Vanderbilt and spent two years on the LSU staff in 2007 and 2008 after a season with Paul Mainieri at Notre Dame. Godwin joined fellow former Irish and Tiger assistant, Terry Rooney, at Central Florida when Rooney got his first head coaching position. Godwin’s attitude can best be described in one word – Relentless. It’s a word that characterizes his day to day approach as well as how the Rebel offense has performed so far in 2012. 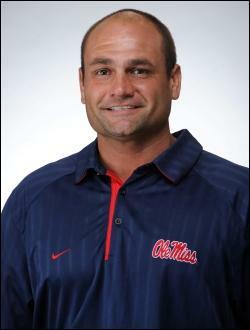 In this exclusive interview with College Baseball 360 co-editor Sean Stires, Godwin discusses his return to the SEC, the success of the Ole Miss offense, players like senior Ryan Yarbrough and Zach Kirksey and more!